If you see an error message of “Your graphics card does not support DirectX features” when open a video game such as Rainbow 6 Siege, don’t panic. This is a common error and you can fix “Your graphics card does not support DirectX 11 features” error. Here are some solutions to try. You don’t need to try them all; just work your way down the list until everything’s working again. As the error message suggests, your video card doesn’t support DirectX 11 features, so it’s likely that your computer hardware doesn’t meet the minimum requirements. Generally speaking, many video games, such as Fortnite and PUBG will demonstrate the minimum requirements to play these games on their website. Therefore, you should visit the manufacturer website to check the minimum requirements to play the game that gave you the error, and make sure your computer meets the minimum requirements. If your system doesn’t meet the requirements, you should consider upgrading your computer hardware to play the game. Game developers always keep releasing patches to improve their games and fix any issues, so you should check for updates of your game in Steam or from the official website. Then install the latest patch to keep it up to date. Once updated, restart your computer and launch your game again. This can fix some issues like not supporting DirectX 11 features. A missing or outdated graphics card driver can cause your graphics card does not support the DirectX 11 features. 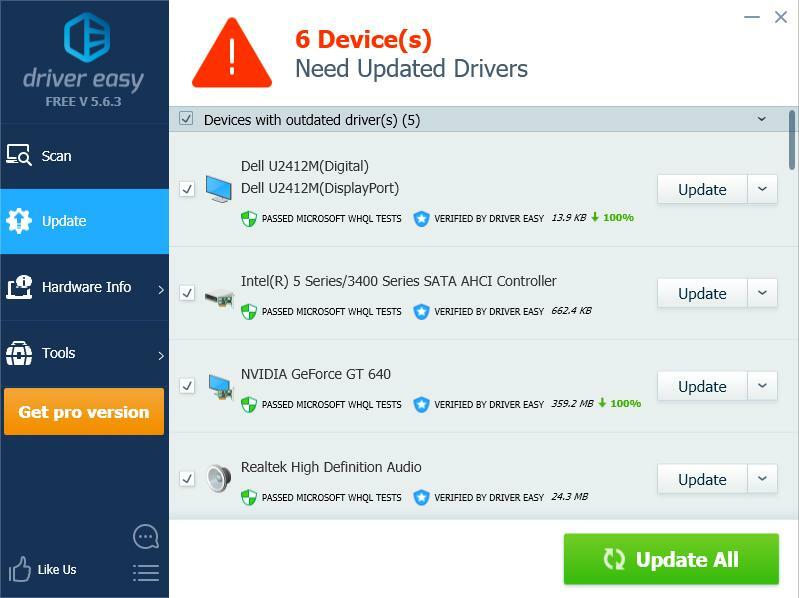 So you should update your graphics card driver to the latest version. 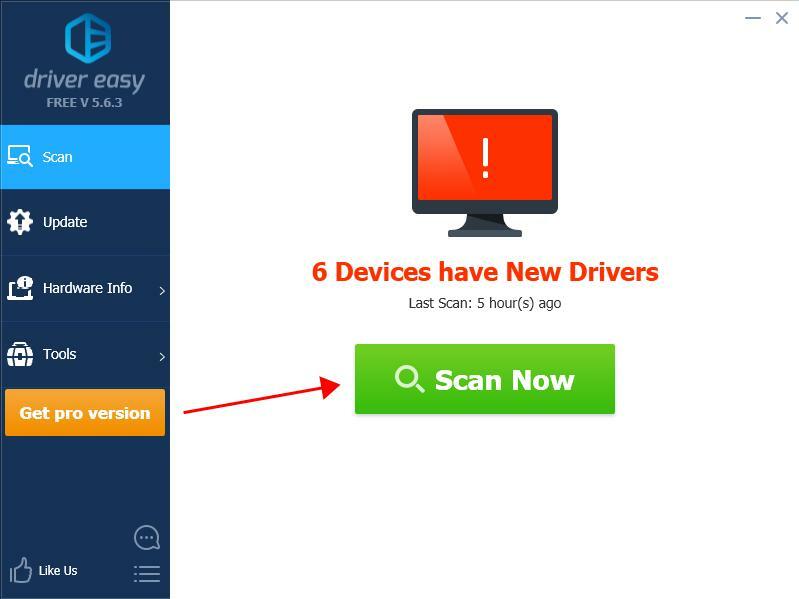 Manually: you can go to your graphics card manufacturer’s website, download the latest correct driver for your video card, and install it in your computer. This requires time and computer skills. 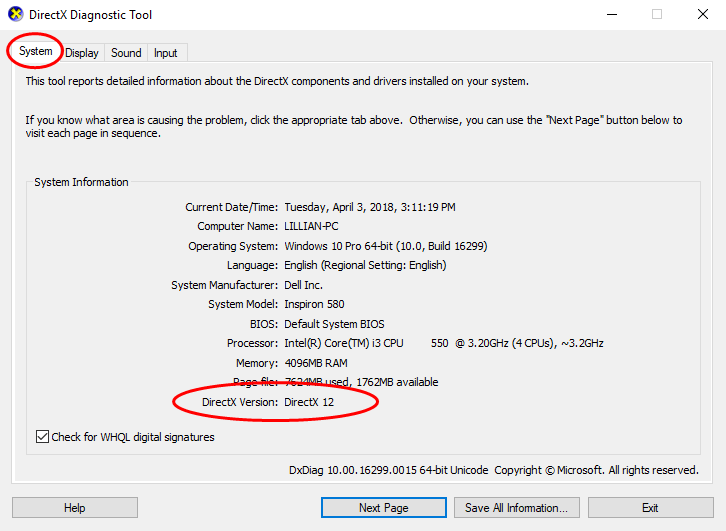 How do you check the DirectX version in your computer? 1) On your keyboard, press the Windows logo keyand R at the same time to start the Run box. 3) You can see the DirectX version under the System tab. If your DirectX version is DirectX 11 or later, your computer should support the DirectX 11 features. If your DirectX version or older than 11, you should update your DirectX. How do you update DirectX? Generally speaking, for Windows 10, Windows 8 and Windows 8.1, you can directly update your Windows to the latest version to install the latest DirectX on your computer. However, for Windows 7, Windows Vista and Windows XP, you may need to install an update package to install the latest DirectX in your computer. 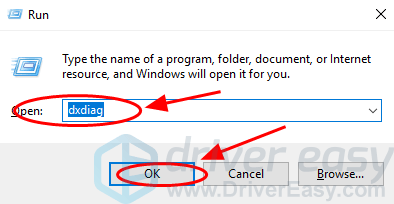 You can go to the Microsoft website for more information about how to install the latest version of DirectX for different versions of Windows. After installing the latest Windows update or update package, restart your computer and try the game again to see if the error disappears. There are the best 4 solutions to fix Your graphics card does not support DirectX 11 features. You’re welcome to add a comment below to let us know if these fixes resolved your issue. If you have any other issues, feel free to let us know, and we’ll do our best to help.